Honey has healing powers that have been proven scientifically. It can help with sore throats, burns hurt less, wounds heal faster and dry scalps benefit from an overnight honey treatment. What’s important is not to heat the honey to more than 40 °C (104 °F) because then beneficial substances, such as vitamins, are destroyed. 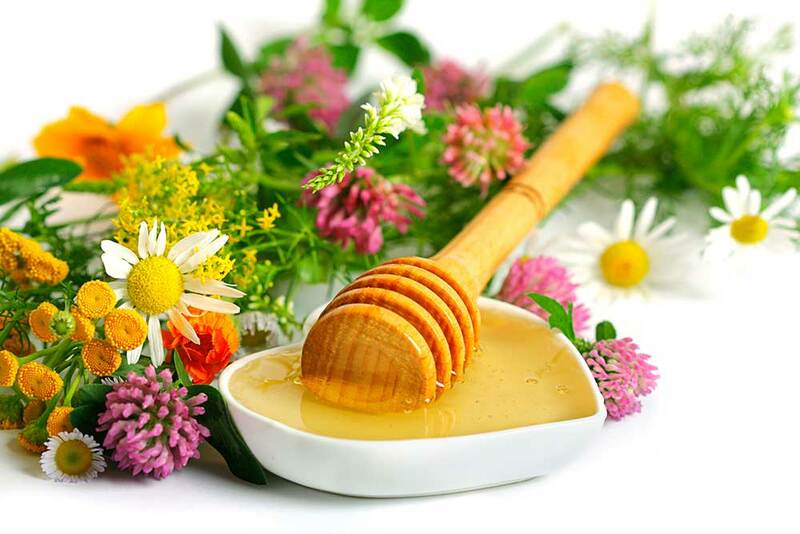 Honey can comprise over 180 different natural ingredients. Especially blossom honey boosts the immune system. Two table spoons per day are thus a great natural preventative medicine. And who doesn’t like a glass of warm milk with honey or a buttered slice of bread with this delicious, golden treat!? Bees also produce a compound called propolis from sap of evergreen trees. It provides protection from bacteria, viruses and fungi and is incorporated into the beehive. Propolis is also sold in pharmacies as ointment, lotion, tablet, liquid extract or capsule.